Do you need some ideas for that superfit friend or family member whose healthy lifestyle is so fine tuned you can set a clock to it? Here are some of my healthy living favourites she will be sure to love. I never touch coffee unless there is chocolate and whip cream involved, needless to say I try to keep mochas to a minimum. The one hot steamy drink I feel good about enjoying everyday is my ritual Match Latte which provides a surprising energy boost and is loaded full of antioxidants. 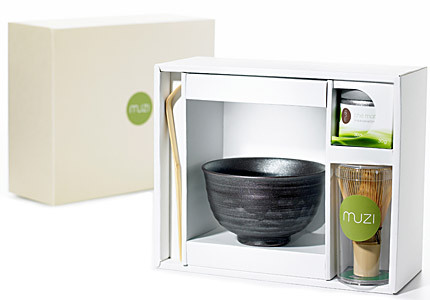 This fabulous Match Tea set from Muzi makes a perfect gift to set your fit girl up for delicious and healthy Matcha drinks at home. 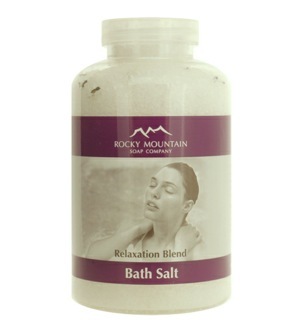 For the ultimate all natural soak your fit girl will love relaxing in bath salts from Rocky Mountain Soap Co. My favorite: Relaxing Blend with calming lavender and tingly peppermint is a luxurious reward after a hard workout. Hey fit girls, what healthy products do you absolutely love that every fit girl should know about? Boogie yourself fit, Grandma. Dancing is exercise!